Victory comes as Loyola University Chicago faculty intensify calls for a fair contract . . .
CHICAGO – Non-tenure track faculty voted nearly unanimously to ratify their first union contract with the University of Chicago on Friday. After two years of negotiations, the administration agreed to important improvements for the faculty members and their students, including up to 49 percent wage increases for some, paid parental leave, increased job stability, capped language course sizes and professional development funds. The new SEIU Local 73 members hailed the victory as an important landmark in the growing fight to improve higher education in Chicago and across Illinois. 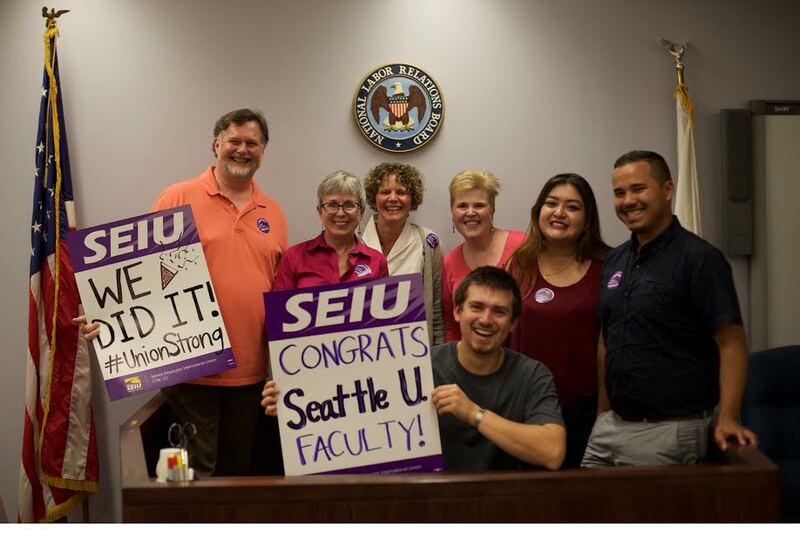 Non-tenure track faculty at the University of Chicago were the first in the state to win their union with SEIU Local 73. Inspired by these gains, non-tenure track faculty at Loyola University Chicago are doubling down on their calls for a fair contract. After nearly two years of negotiations, hundreds of faculty and went on strike and walked out on April 4. Negotiations resume this week and faculty say they’re prepared to act if the administration refuses to agree to a fair deal. Follow #TimesUpLoyola for updates on negotiations.